Following on from our Information on the 44th Annual Dusseldorf Boat Show blog, we bring you up to date news that Jongert Yachts will feature at the show. The Dutch manufacturer is presenting it’s new model 3200P, a sloop designed for performance, which will go into production in the coming weeks. Also on display at the 44th Annual Dusseldorf “BOOT” Boat Show, is the truly stunning Jongert 4000, shown below. She joins the several yachts available for visitors to see. On top of what’s on offer at the Boat Show, Jongert Yachts are known for their superb quality of yacht. Why not consider one of their yachts for charter? 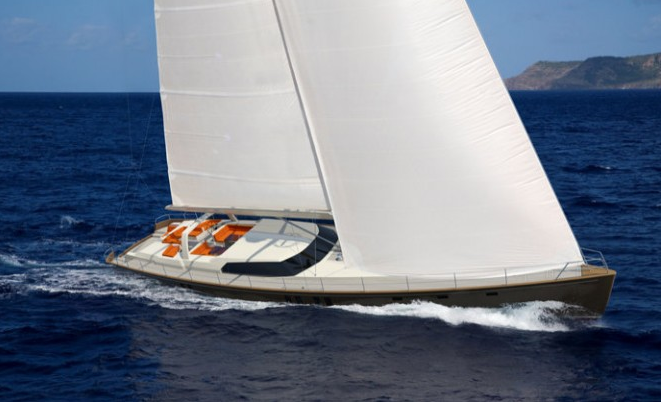 We recommend the fantastic ICARUS, a 27m luxury crewed sailing yacht. She has 3 stunning cabins, and with a sleek and elegant exterior that we’ve learnt to expect from Jongert, we know you won’t be disappointed! Interested in chartering a Jongert or another yacht? At www.boatbookings.com, we welcome everyone from sailing professionals to complete novices and will help you at every step of the way to make your dreams a reality. We have a team of highly skilled professionals who are extremely knowledgeable in their destinations and will be able to help you with any questions you may have.